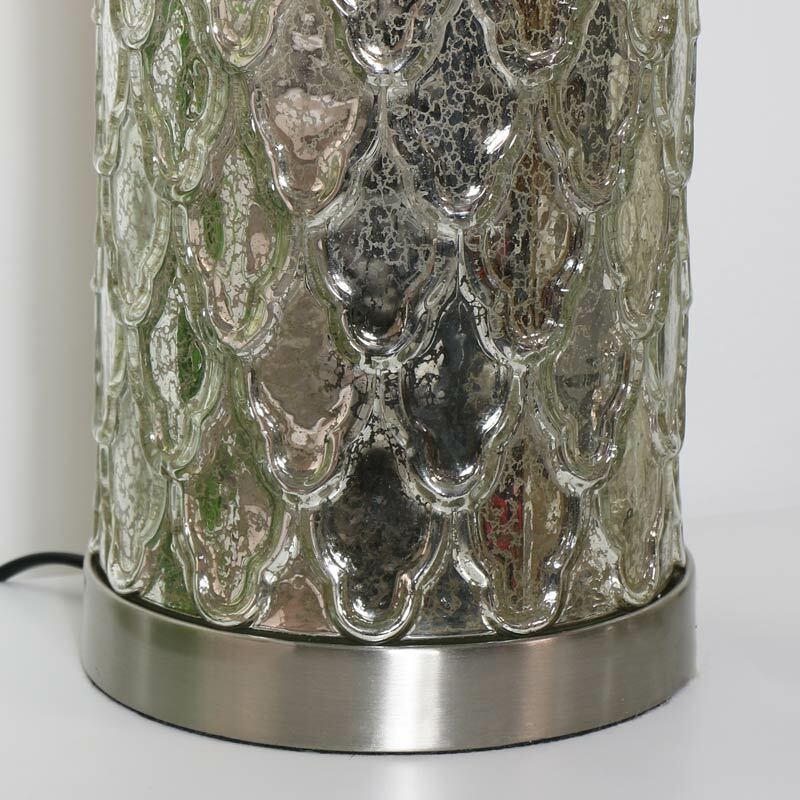 Stunning silver embossed glass hurricane uplighter style table lamp. 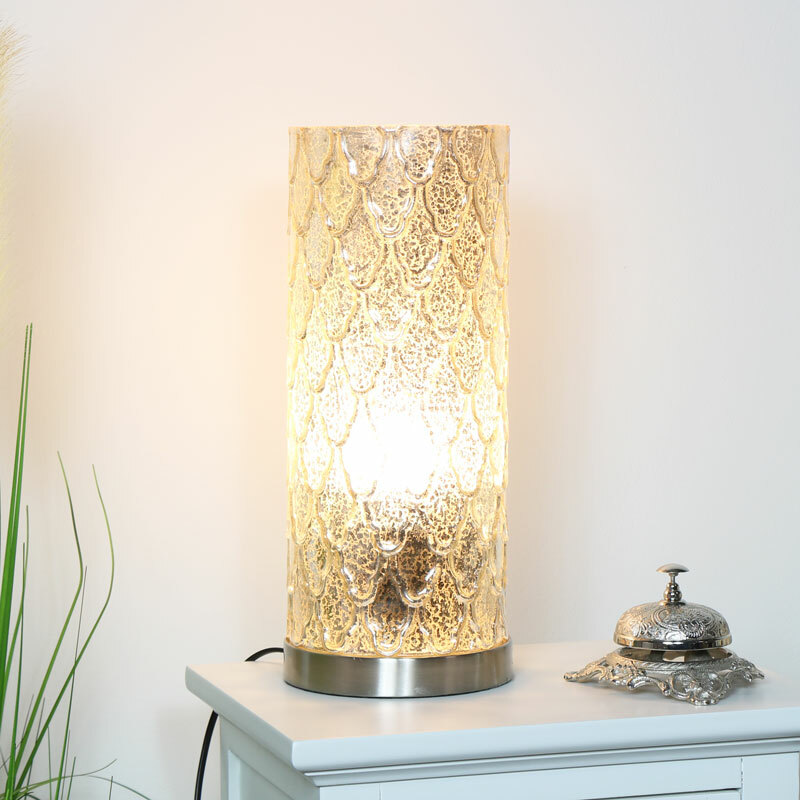 Vintage feel with ornate glass shade, adds a look of glam luxury. Beautiful design that will stand out in any home, adds a soft welcoming lighting effect. Perfect for the living room, hallway or for the bedroom. Perfect for displaying on a lamp table or bedside. 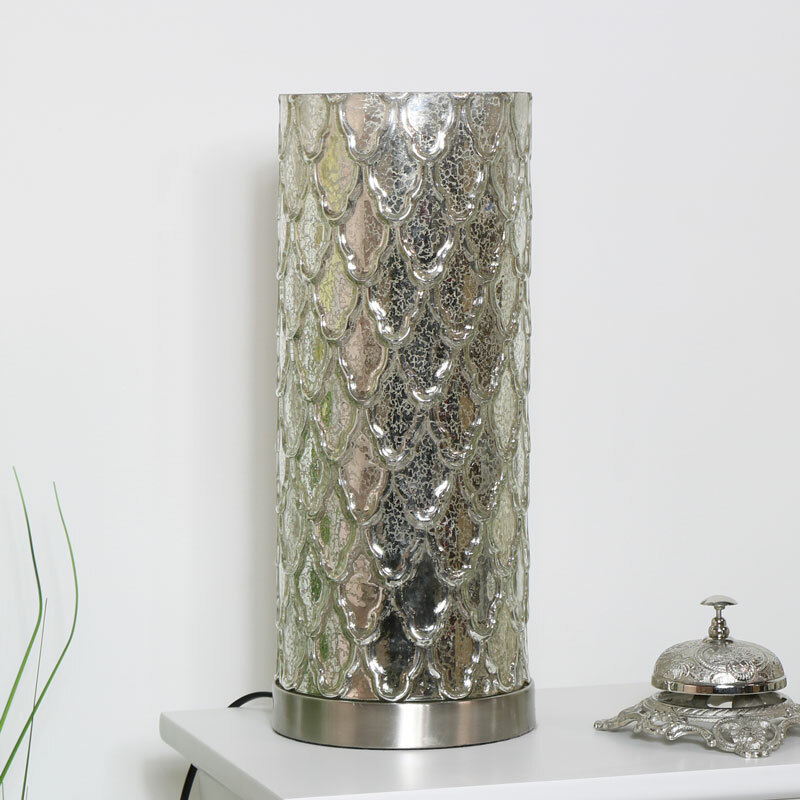 Stunning silver embossed glass hurricane uplighter style table lamp. Vintage feel with ornate glass shade, adds a look of glam luxury. Beautiful design that will stand out in any home, adds a soft welcoming lighting effect. Perfect for the living room, hallway or for the bedroom. Perfect for displaying on a lamp table or bedside. Constructed with a metal base and ornate patterned glass cyslinder shade. Mains operated with standard UK plug and inline switch for easy access.